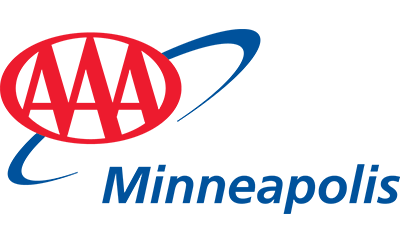 As an independent agency, our AAA Minneapolis Insurance Agency can make the entire process of dealing with your auto, home, life and health insurance a very personal, customized and caring experience. With a policy review, our trained agents will review your existing coverage and make sure they are appropriate for your current needs. If you have had life changes that could potentially affect your coverage, we can make recommendations to ensure you’ve got the right amount of coverage and apply any discounts we can. Because we don’t own our own insurance company, we represent multiple top-rated carriers. Through these partners, we offer all types of insurance, most at competitive rates—and several at AAA-discounted affinity group rates through national and regional carriers such as Auto Club Insurance (a AAA-branded product), as well as Kemper and Hartford. We have a dedicated service team that will provide you with excellent, one-on-one customer service—from quotes to claims. Our offices have flexible hours, including evenings and Saturdays. We offer protection that goes beyond your home and auto. From weddings and extended auto warranties to dental, health and even pet insurance, we’ve got you covered. Our agents are highly trained and licensed professionals committed to reviewing your current coverage for possible improvements, researching coverage options and providing you with the best value available. Contact us today to set up your free policy review with a AAA Minneapolis Insurance agent. Special rates are available for AAA members!